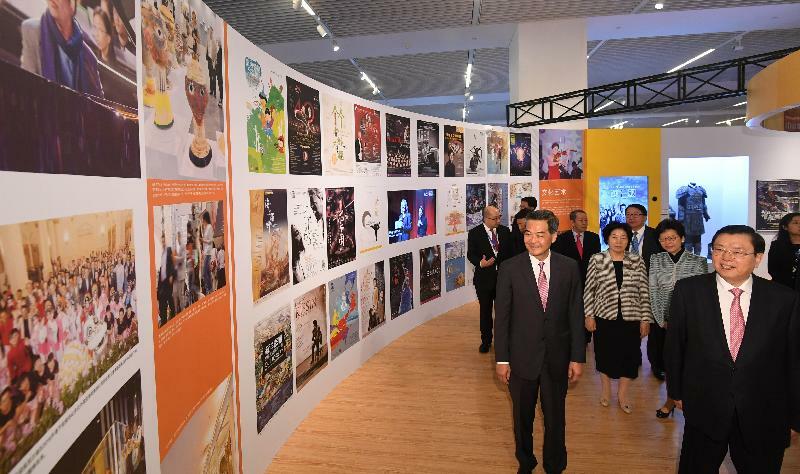 The Chief Executive, Mr C Y Leung, officiated at the Opening Ceremony of "Together · Progress · Opportunity - Exhibition in Celebration of the 20th Anniversary of the Return of Hong Kong to the Motherland" in Beijing today (June 26). 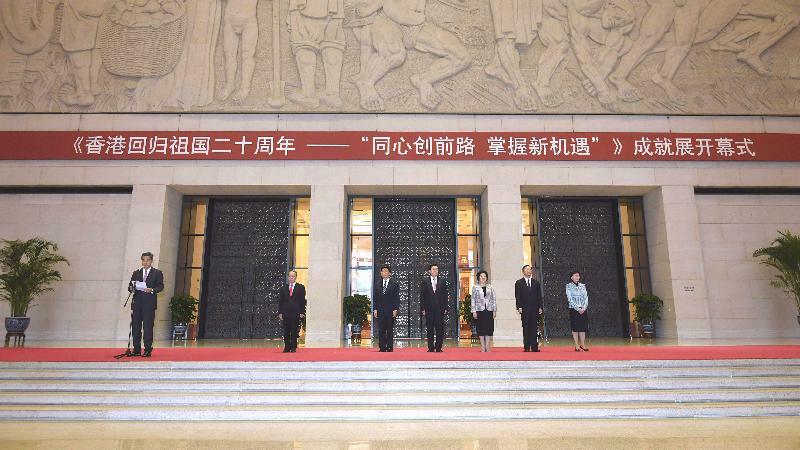 Also officiating were Member of the Standing Committee of the Political Bureau of the CPC Central Committee and Chairman of the Standing Committee of the National People's Congress Mr Zhang Dejiang; Member of the Political Bureau of the CPC Central Committee and Minister of the United Front Work Department of the CPC Central Committee Ms Sun Chunlan; Member of the Political Bureau of the CPC Central Committee and Vice President Mr Li Yuanchao; State Councillor Mr Yang Jiechi; and the Director of the Hong Kong and Macao Affairs Office of the State Council, Mr Wang Guangya. 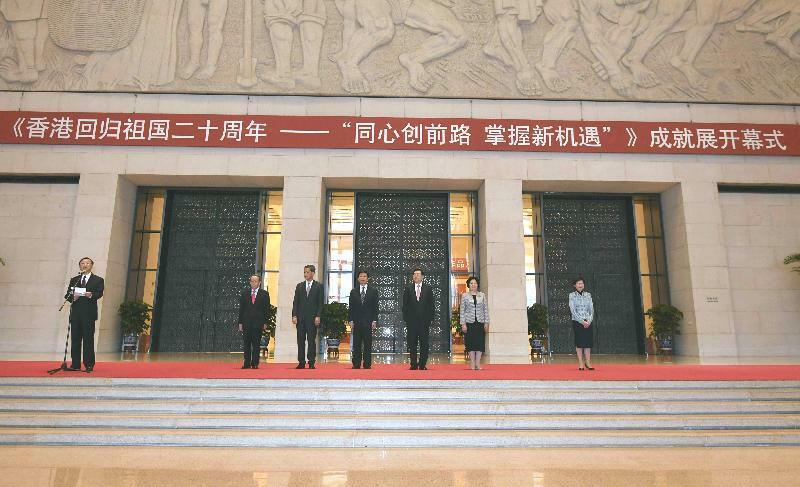 The Chief Executive-elect, Mrs Carrie Lam, also attended the ceremony. 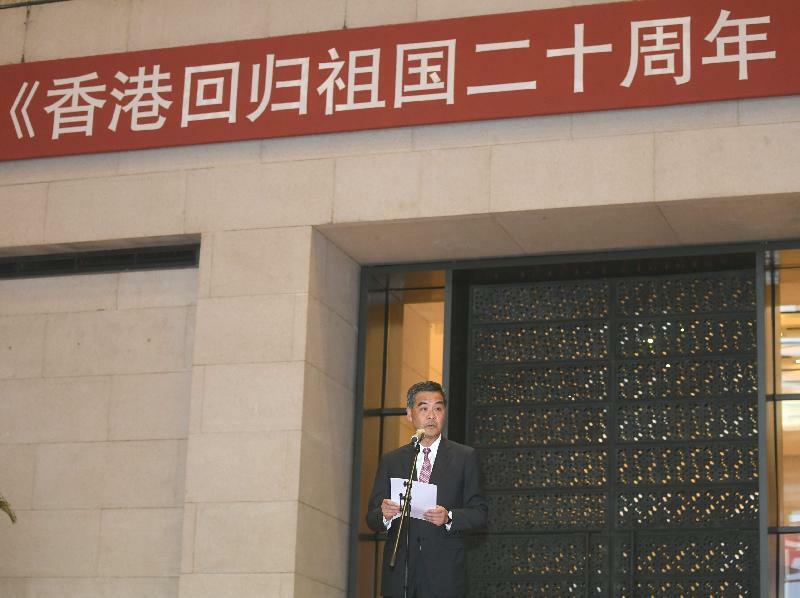 To celebrate the 20th anniversary of the establishment of the Hong Kong Special Administrative Region (HKSAR), the HKSAR Government has organised "Together · Progress · Opportunity - Exhibition in Celebration of the 20th Anniversary of the Return of Hong Kong to the Motherland" to be held at the National Museum of China. 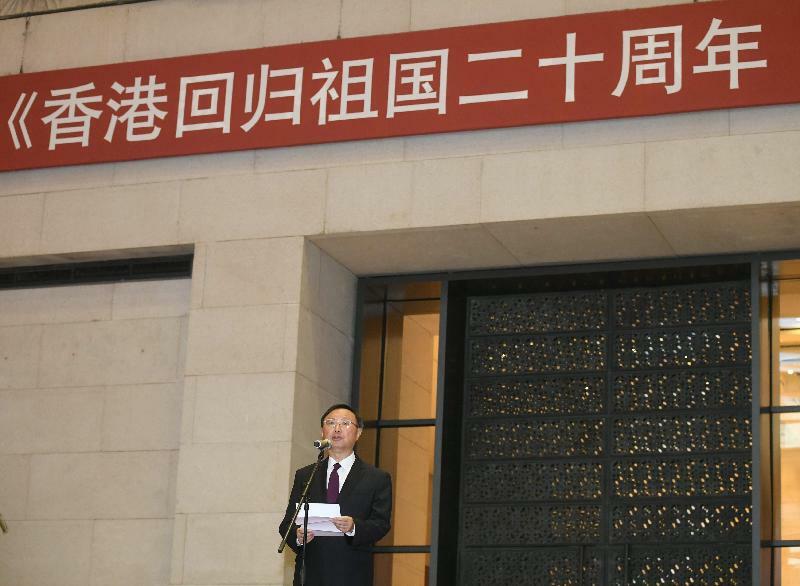 The exhibition will be open to the public for free from tomorrow (June 27) until July 16. 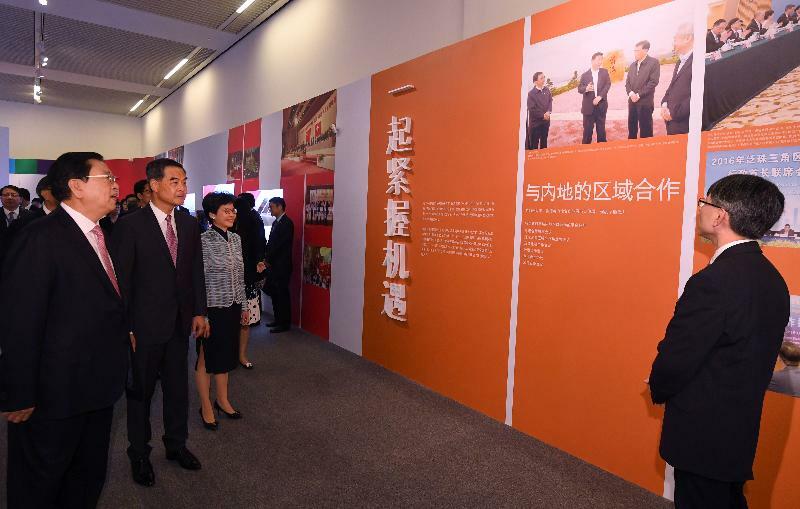 The exhibition is themed around the concept of "Togetherness", the binding, driving force that propels the strength and prosperity of the Motherland and Hong Kong in building a better future together. 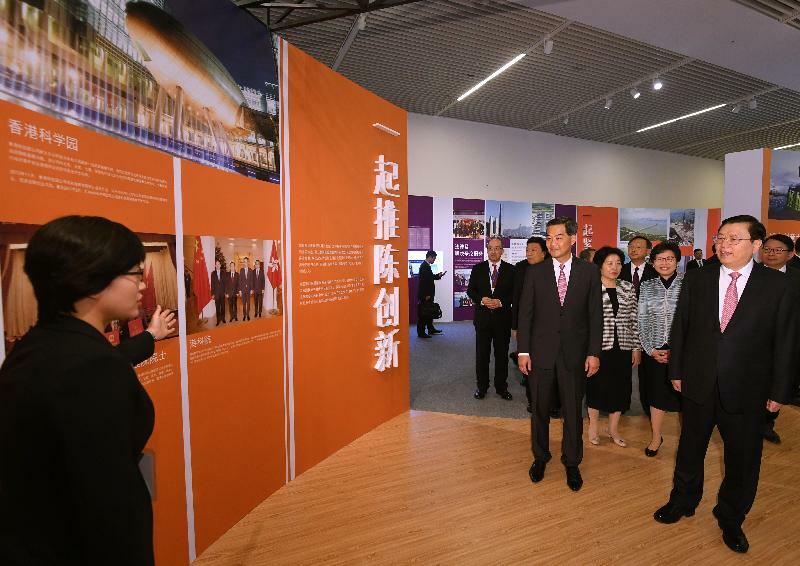 The exhibition also highlights how Hong Kong has been fully deploying its advantages under the "one country, two systems" arrangement and the principle of "what the country needs, what Hong Kong is good at". 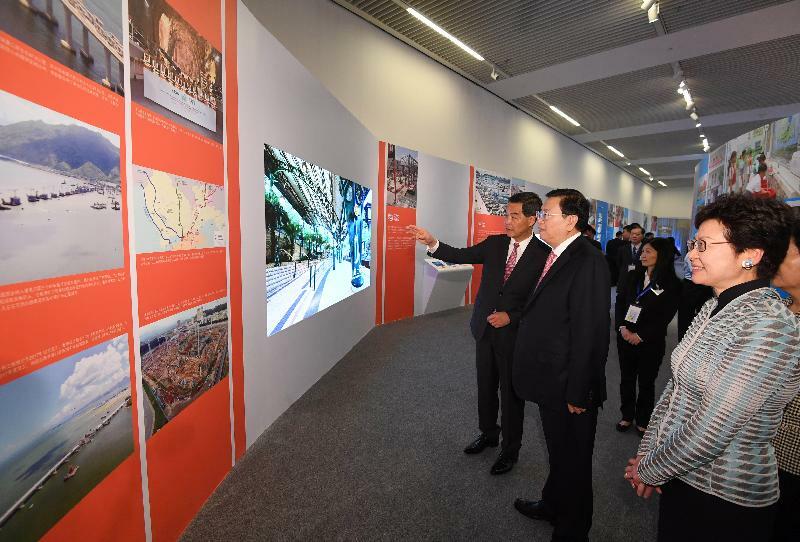 It also shows how Hong Kong is poised to seize the new opportunities arising from the nation's 13th Five-Year Plan and the visionary Belt and Road Initiative, and how the city serves as a "super-connector" in attracting foreign investment, technology and talent, while assisting Mainland enterprises in "going global", thereby contributing to the nation's development in many ways. 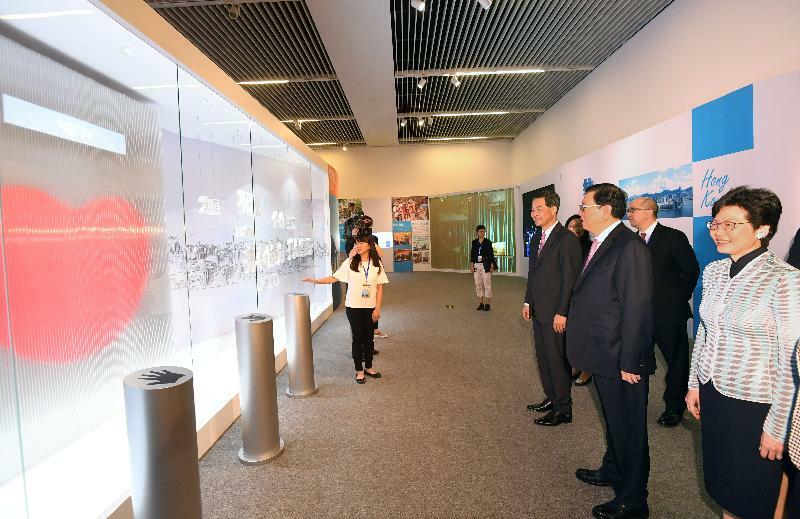 The exhibition also showcases how Hong Kong and the Mainland join hands in fields such as trade, finance, technology, infrastructure, culture, sports, community, conservation and disaster relief, building closer connections with each other. 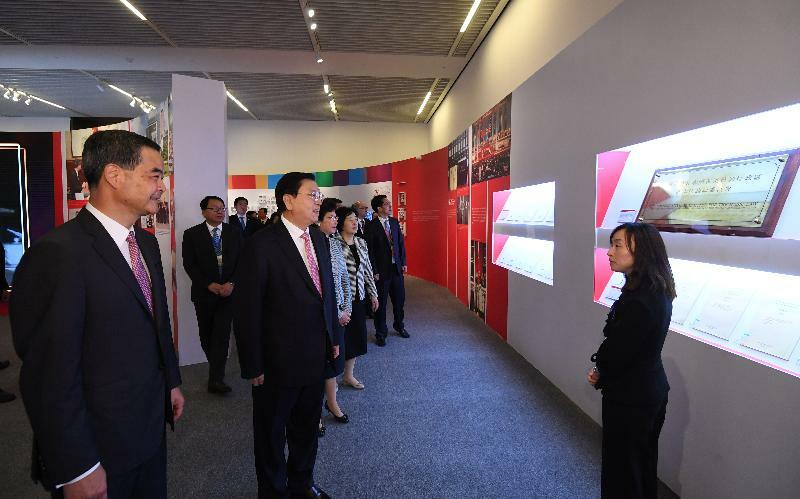 The exhibition, presented in 10 sections, features over 40 exhibits, 40 video clips and 200 photos, as well as models, multimedia programmes and interactive elements. The rich variety of pictures and text helps to present Hong Kong's exciting city landscape, latest developments and future development blueprint.